Well Water Stop Flood Prevention Bedford Hills NY | Low Water Pump Cut Off Bedford Hills | WaterPro Well Stop Beford Hills | Churyk Company, Inc.
WHAT WOULD YOU PAY TO NEVER HAVE TO WORRY ABOUT A BASEMENT FLOOD AGAIN? 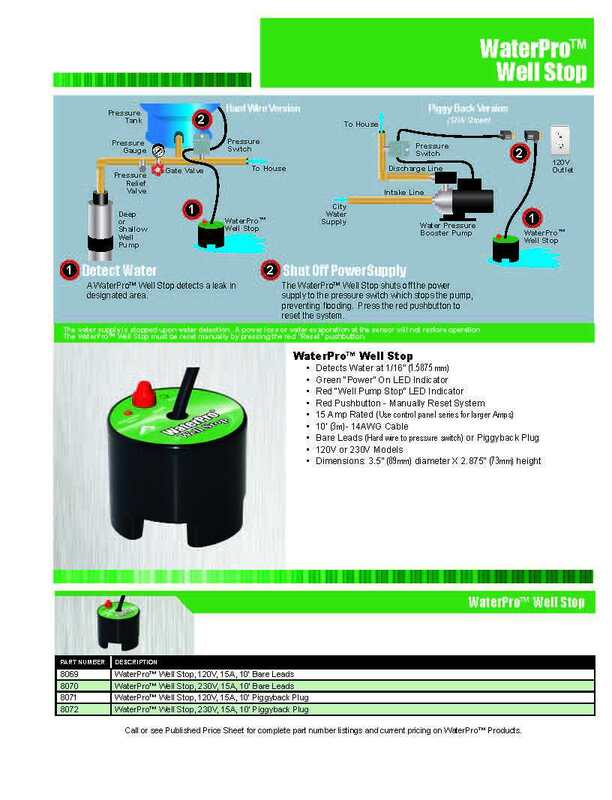 We can install a WaterPro Well Stop flood sensor in your basement in as little as an hour. This compact sensor will automatically shut off your pump in the event of a leak. Never again will you worry about a basement flood because your pump kept running. You can even ask your homeowner’s insurance if this makes you eligible for a discount. DO YOU HAVE A LOW-PRODUCING WELL? THEN YOU SHOULD HAVE A LOW-WATER PUMP CUT OFF. We offer several types of low-water cut offs to protect your pump and prolong it’s life. These are a necessity for shallow or low-producing pumps. They will shut off your pump and prevent it from burning itself out until the water level recovers.